The Woman at 72 Derry Lane by Carmel Harrington. I love the sound of this novel and I love the look of the cover too, what are your thoughts on The Woman at 72 Derry Lane? 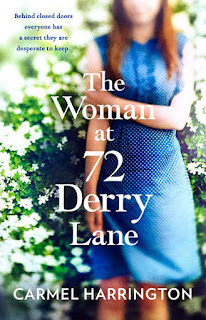 The Woman at 72 Derry Lane is due for release 1st June for the Irish release followed by the Uk release in September.